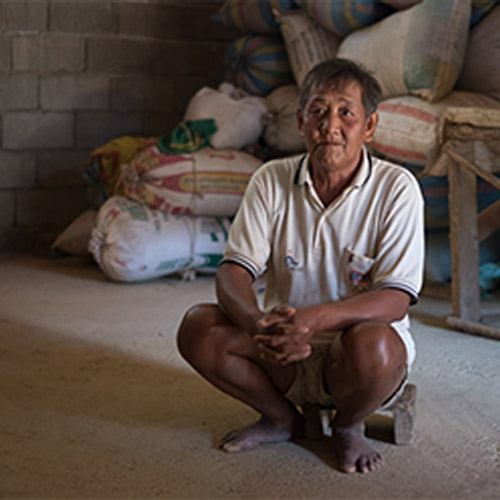 Laos’ mountainous villages are perfect locations to grow coffee but also extremely difficult to access, so Saffron Coffee has adopted a Direct to Farmer engagement model. It is more involved than just direct trade because we are ultimately assisting smallholder famers on a path from poverty into choice. Coffee cherries are directly traded and sustainably sourced from Khmu, Hmong, Mien, and Gasak people groups. Saffron Coffee is cultivated, planted over 800 metres above sea level, organically shade-grown, hand-picked, processed, hulled, graded, hand-sorted, and roasted in northern Laos. Every family has a micro plot of shade grown coffee and is offered coffee sprouts or seedlings to increase production each year. Saffron offers ongoing training in crop maintenance and tree care, and guarantees the purchase of all ripe coffee cherries produced by its farmers. Todd Moore (married to Jessica with three children) has been working with Saffron for 8 years and has been its’ Director for almost three years. Fluent in Lao language, the majority of Todd’s work involves connecting with farmers, training and equipping Lao staff, as well as the somewhat arge task of running the company. Todd has a history of farming, and a Masters in Intercultural Studies. Todd Moore (married to Jessica with three children) has been working with Saffron for 8 years and has been the Director since January 2016. Fluent in Lao language, the majority of Todd’s work involves connecting with farmers, training and equipping Lao staff, as well as the somewhat urgent task of running the company. Todd has a history of farming, and a Masters in Intercultural Studies. Wildlife Conservation Society - working with Saffron to introduce coffee into 5 villages bordering a wildlife protection zone in Houaphan province as a crop that has positive environmental impact as well as bringing a good income to farmers. CIRAD (French Agricultural Research and Development Organisation) - approached Saffron to help develop and purchase coffee from villages that had formally contracted with a company that had gone out of business. This left these villages without a buyer for their produce. 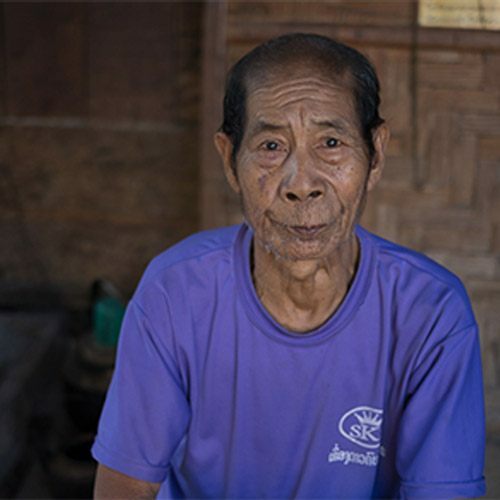 World Renew (North American development agency) - approached Saffron to purchase coffee from two villages in Phongsali province and assist other villages in the area to switch to Arabica coffee. Oxfam - Improving Transboundary Responsible Agri-business on Land Governance project – Oxfam is working with Saffron Coffee to learn about our experiences and identify our needs, to help improve policies and practices on social development and land-related issues. Luang Prabang Technical Vocational College & GIZ (a German NGO) Dual-Cooperative Training Program. Saffron partners with the College to provide vocational training for three students in the “Food / Beverage Service and Food Production Professionals” course over the next 3 years.